There are so many places in the world that are unbelievably beautiful and are worth spending all of your vacation money on. Millions of grand waterfalls, thousands of mountains, and hundreds of unseen miracles of nature that are impossible to visit in one lifetime. However, after looking at these, you might just want to try. We at Bright Side collected 15 special places you’ll need to visit to feel fulfilled in life. Lençóis Maranhenses is a unique national park in Brazil located on the Atlantic coast of the Northern part of the country, in the state of Maranhão. This is one of the most mysterious places on the planet. During the rainy season, water accumulates between the dunes forming many lagoons that create a unique and beautiful landscape, which look like turquoise, green, and blue mirrors among the velvety white sands. Honokohau Falls are green waterfalls located on the island of Maui in the Hawaiian islands. This is the highest waterfall on the island and to get to it you need to take a helicopter tour as tourists cannot reach it by car or foot since the area is too difficult to travel. The shooting of the film Jurassic Park, which took place in this area, brought fame to Honokohau Falls because the waterfall made it into one of the scenes of the film and enamored many viewers with its beauty. Capilano Suspension Bridge is a picturesque bridge in Canada near Vancouver. 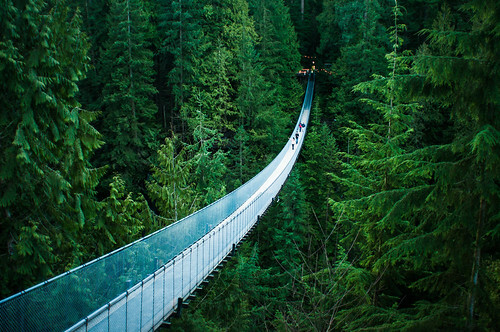 It is located at an altitude of 230 ft above the turbulent Capilano River in thickets of dense forest. To walk on this bridge is an adventure in and of itself. Initially, it was built as a path to a sawmill to make life easier for workers, but today it has an exclusively touristic function. Cenote Ik-Kil was formed by nature from an underground cave and, since it consisted of limestone, the walls of the cave were washed away by underground waters. They crumbled from the pressure of the water making this cenote larger in diameter and depth. Now you can see the securely fortified walls of the cenote and the stone staircase, which was created for the convenience of tourists trying to get down to the legendary water. Also, the walls are decorated with artificial waterfalls and have balconies in the form of viewing platforms for onlookers. Skellig Michael is an island located in the Atlantic Ocean, 7 miles west of the Iveragh Peninsula of Ireland. A Christian monastery was founded on the island between the 6th and 8th centuries and was in constant use until the 12th century. The ruins of the monastery, along with most of the island itself, were added to the UNESCO World Heritage list in 1996. This place seems so unearthly that it was heavily involved in the filming of Star Wars. 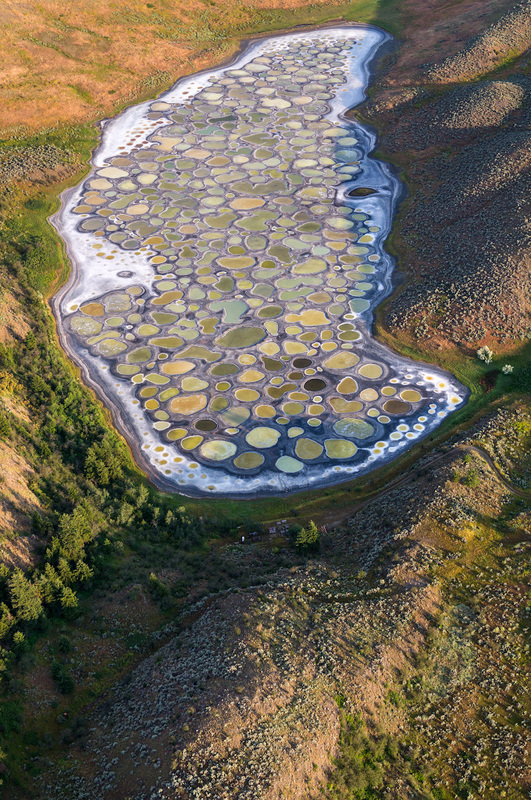 Spotted Lake is a saltwater mineral lake in British Columbia, Canada containing a large concentration of various minerals. In the summer most of the water in the lake evaporates, exposing the bizarre colored deposits of these minerals. The color of the stains depends on the mineral, most spots acquire their color due to magnesium sulfate which crystallizes in the heat. These minerals harden to form natural “pathways” around and between the spots in the summertime. 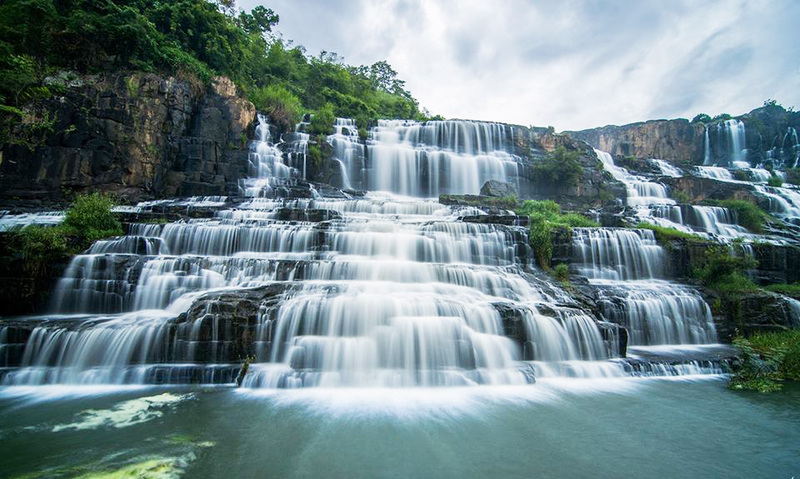 The Pongour Waterfalls are one of the largest and most beautiful in Vietnam. During the rainy season, the water falls in a wide stream through many cascades, and flows into the pool below. In the dry season, the waterfall loses its power and transforms into many tiny streams, but still retains its beauty. If you are in Dalat in the rainy season, be sure to go to the waterfall despite the long commute. You’ll be guaranteed to witness a stunning sight. In addition, on the way to the waterfall, you will see the beautiful scenery and pass by coffee and avocado plantations. Devils Tower National Monument is a natural monument that’s located in the valley of the Belle Fourche in Wyoming. It was the first object to be recognized as a “national monument ” by the United States. 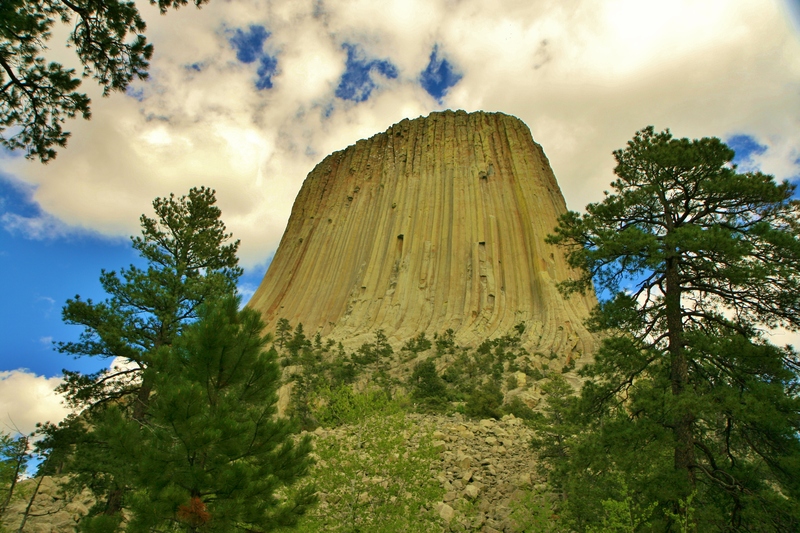 Devil’s Tower was formed from a magmatic melt, which rose from the depths of the Earth and froze in the form of hexagonal columns. The most ancient geological deposits in the territory of this monument are estimated to be from 225 to 195 million years old. The main feature of Prohodna is the 2 holes in the rock that are shaped like human eyes. 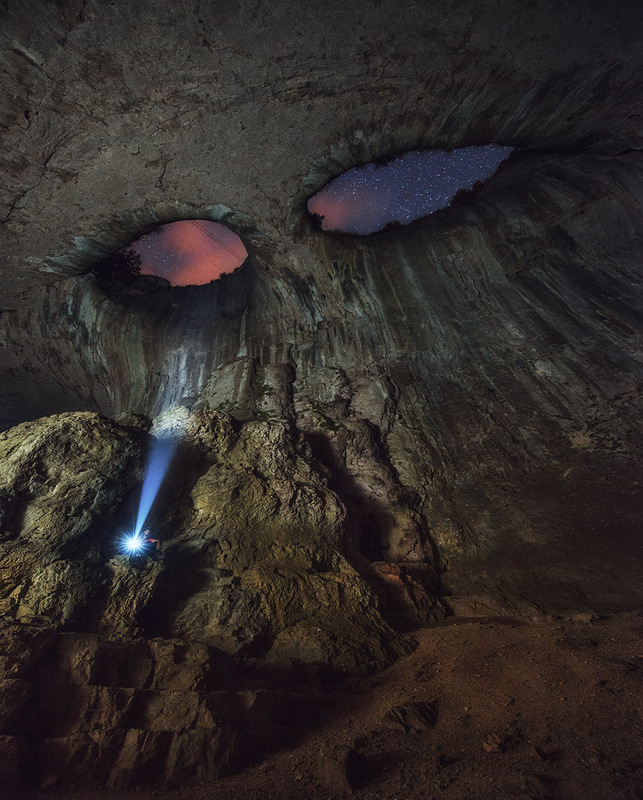 The locals call them “The Eyes of God” and sometimes “Devil’s Eyes.” These “windows” provide natural light in the cave and stun tourists with their amazing symmetry. And if you happen to be there on a rainy day, when the water flows through them— it looks as if they are real tears. Hierapolis, also called Pamukkale springs (literally meaning “cotton castle” in Turkish) is a natural and cultural UNESCO World Heritage site in the province of Denizli in southwest Turkey. The Turkish name refers to the bright white limestone created and shaped by the springs for over thousands of years. 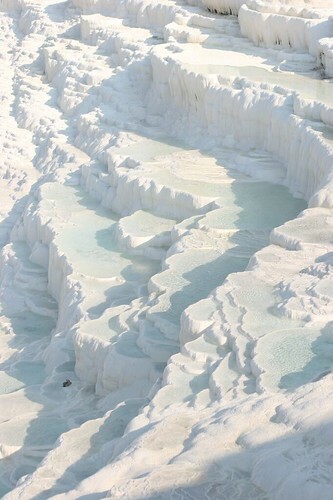 These springs formed the amazing landscape of Pamukkale, appearing in the form of a cascade of terraced baths, decorated with white calcite stalactites. The temple of Samgwangsa is known for its annual lantern festival in honor of Buddha’s birthday which attracts over a million visitors. During the festival thousands of colorful lanterns are lit in the night sky. In the Western part of Kyoto, at the foot of mount Arashiyama there is an amazing place filled with peace and mystery. On the banks of the Hozu River there are numerous gardens and bamboo groves. Shady paths beckon with cool air and silence, and narrow paths lead to ancient Buddhist temples. The main temple near Arashiyama, called Tenryuji (“Temple of the Heavenly Dragon”) can only be accessed by going through an unusual 900 ft long corridor leading through a bamboo grove. This castle is a fairy tale hidden in the forests of the Bavarian Alps. It’s a real masterpiece that has become immensely popular among tourists. 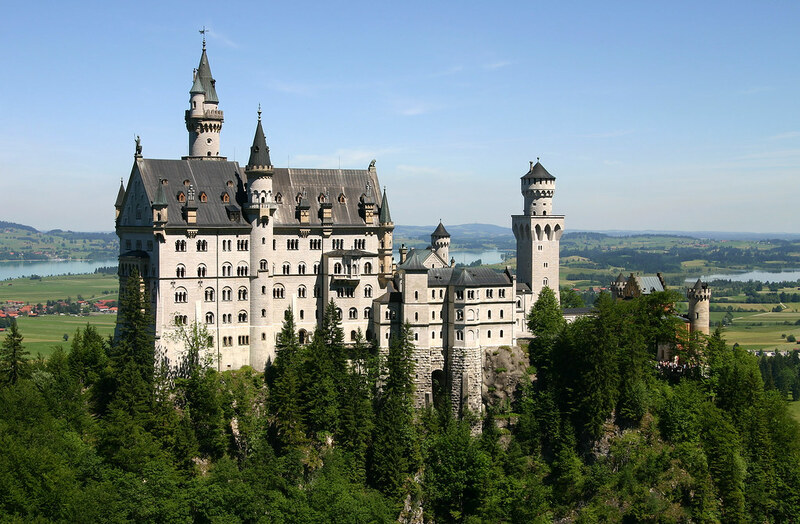 Neuschwanstein became the prototype for Sleeping Beauty’s castle at Disneyland Paris, was Tchaikovsky’s inspiration for the Swan Lake ballet, and was the epitome of Ludwig II’s love for Wagner’s music. The Tracy Arm Fjord is considered one of the most majestic fjords on the planet. Fantastic rugged shores, majestic mountains, towering cliffs, waterfalls descending into the sea, the emerald water of the fjord, the largest icebergs in Alaska, and the collapse of falling glaciers make this a delightful place to visit. Nobody leaves indifferent once seeing the abundance of various living creatures like whales, sea lions, seals, and otters, just to name a few. Ta Prohm temple is one of the most monumental temples in the territory of the Hindu complex of Angkor in Cambodia. It is located in a dense jungle and is half destroyed. 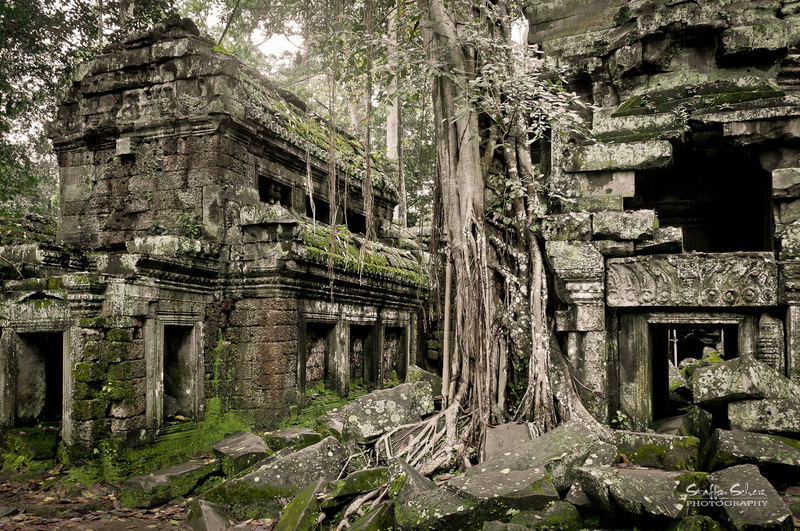 The frightening force of nature has “strangled” the temple: the trees and vines that have entwined the towers, terraces, and statues of Ta Prohm for centuries have changed them beyond recognition. And at the top of the temple, vines have taken over and formed a natural dome. If you have any other magnificent places to suggest, please share them in the comments below.